Here is the list of the hotels near Salvagnac-Cajarc. Book your hotel near Salvagnac-Cajarc today, Thursday 09 May for the best price, reservation and cancellation free of charge thanks to our partner Booking.com, leader in on-line hotels reservation. Below here is the list the 50 closest hotels of Salvagnac-Cajarc, sortable according your criteria. You will find the position of these accommodations on the Salvagnac-Cajarc hotels map. House Le jardin d'eden is located in Cajarc. The holiday home features garden views and is 49 km from Cahors. The holiday home features a TV. The accommodation is equipped with a kitchen with a dishwasher and a microwave. Figeac is 25 km from the holiday home. The nearest airport is Rodez - Aveyron Airport, 78 km from House Le jardin d'eden. Set in Cajarc in the Midi-Pyrénées region, Domaine Fine Fleur has a garden. This villa features water sports facilities. This villa features a living room and a fully equipped kitchen with an oven and a microwave. The villa offers a children's playground. A terrace is available for guests to use at Domaine Fine Fleur. Cahors is 49 km from the accommodation, while Figeac is 25 km away. The nearest airport is Rodez - Aveyron Airport, 78 km from the property. This charming hotel-restaurant is located in Cajarc, facing the Lot river, halfway between Figeac and Villefranche-de-Rouergue. Free Wi-Fi is provided. At L'auberge du Pont you will find a terrace and a bar serving drinks and snacks. Retaining its familiar atmosphere and authentic character, L'Auberge du Pont it offers simple and functional rooms, most with shared bathrooms. The air-conditioned restaurant offers traditional and regional cuisine made of hearty tasty and simple dishes with fresh local produces. A continental breakfast with bread, jams, juice and pastries is served daily. Kayak and fishing are popular activities in the area. The property offers free parking. Figeac's Train Station is at 25 km, while Toulouse Airport is at 120 km. Boasting accommodation with a terrace, La Plume is situated in Cajarc. This apartment offers accommodation with free WiFi. The apartment is located on the ground floor and is equipped with 1 bedroom, a flat-screen TV with satellite channels and a fully equipped kitchen that provides guests with an oven. Cahors is 49 km from the apartment. Rodez - Aveyron Airport is 78 km from the property. Set in Cajarc, Le Logis de Céline offers free WiFi and units fitted with a kitchenette, seating area and TV. Each unit is equipped with a dishwasher, oven, a coffee machine, as well as a microwave and kettle. Cahors is 49 km from the aparthotel, while Figeac is 25 km from the property. The nearest airport is Rodez - Aveyron Airport, 78 km from Le Logis de Céline. Gîte Cajarc. Is located in Cajarc. Guests staying at this holiday home have access to a fully equipped kitchen. The holiday home features a cable flat-screen TV and 2 bedrooms. The holiday home also features a seating area, washing machine and 1 bathroom with a hair dryer. Cahors is 49 km from the holiday home. The nearest airport is Rodez - Aveyron Airport, 78 km from Gîte Cajarc.. Featuring a private pool and garden views, House Cajarc - 8 pers, 120 m2, 5/4 is set in Cajarc. Guests staying at this holiday home have access to a fully equipped kitchen. The holiday home is fitted with a TV. Cahors is 48 km from the holiday home, while Figeac is 27 km away. The nearest airport is Rodez - Aveyron Airport, 80 km from House Cajarc - 8 pers, 120 m2, 5/4. Guest accommodation Cajarc Preferred hotel ! Situated close to the village of Cajarc with views over the Lot Valley, Lagrange Vacances Le Domaine des Cazelles offers fully-equipped holiday homes and an outdoor swimming pool. The Domaine Des Cazelles homes are decorated in a contemporary style. They come with a kitchenette, seating and dining area and a TV. They also have a furnished terrace with a small garden. Lagrange Vacances on site facilities includes a tennis court, bike storage and an adventure playground for kids. Lagrange also offers a kids club with workshops and activities. Cajarc offers many activities including sightseeing by helicopter or hot air balloon, boat trips, kayaking and cycling. Free private parking is available onsite. La Peyrade is located in the village of Cajarc, on the River Lot and 25 km from Figeac. It offers en suite guest rooms with views of the village and the Grand Causses Regional Natural Park. Free Wi-Fi is provided in public areas. The Hotel La Peyrade restaurant serves gastronomic cooking in the hotel’s bright dining room. A continental breakfast is also available in the mornings at a surcharge. Guests have access to a terrace, a lounge area, a bar and a library. Guests of the Peyrade can enjoy hiking and cycling in the scenic countryside around the Lot Valley. The small medieval town of Saint-Cirq-Lapopie is 20 km away. Free private parking is provided on site. Set on the banks of the River Lot and a 15-minute drive from Saint-Cirq-Lapopie, this hotel is in Cajarc, within the Causses du Quercy Regional Park. It offers a 1-hectare tree-lined park and you can relax by the outdoor swimming pool with a drink from the bar. An LCD TV with satellite channels is provided in the guest rooms, which feature an elegant decoration. Some of the rooms feature a terrace, and the private bathrooms include a hairdryer. A continental breakfast is prepared every morning at the Cajarc Blue Hotel. The hotel’s restaurant offers traditional cuisine with a modern twist, prepared with local, fresh produce. Free Wi-Fi is provided throughout the property. Leisure activities include cycling around this medieval village. Guests can go water skiing and wakeboarding in the River Lot and free private parking is available on site. Situated in Cadrieu, Holiday Home les Hortes - 04 offers accommodation with a private pool and private parking. Guests may go for a swim in the outdoor pool. The holiday home is equipped with a TV and a living room. Figeac is 29 km from the holiday home, while Saint-Cirq-Lapopie is 23 km away. The nearest airport is Rodez - Aveyron Airport, 81 km from Holiday Home les Hortes - 04. House Domaine de brivat 1 is set in Larnagol. Guests staying at this holiday home have access to a fully equipped kitchen. The holiday home is fitted with a TV. Figeac is 29 km from the holiday home, while Saint-Cirq-Lapopie is 16 km away. The nearest airport is Rodez - Aveyron Airport, 82 km from the property. House Domaine de brivat is located in Larnagol. The holiday home features garden views and is 29 km from Figeac. The holiday home features a TV. The accommodation is fitted with a kitchen with a dishwasher and a fridge. Saint-Cirq-Lapopie is 16 km from the holiday home, while Villefranche-de-Rouergue is 31 km from the property. The nearest airport is Rodez - Aveyron Airport, 82 km from House Domaine de brivat. This Irish-owned, 15th-century former hunting lodge has kept some original features such as vast stone fireplaces, stone sinks and oak beams. Some modern features include an outdoor swimming pool. The spacious rooms at Mas de Garrigue have a mix of traditional and modern features and each has a private bathroom with a walk-in shower or a bathtub. In the morning, a continental breakfast is served. On some days, guests can also share an evening meal with the hosts, at an extra cost and upon reservation. A 40-minute drive from historical Figeac and 40 km from Cahors, Mas de Garrigue has free on-site parking. Peche Merle caves are just over 20 km away. Boasting accommodation with a private pool, Maison Bons is situated in Calvignac. Guests may enjoy free WiFi. The villa is equipped with a satellite flat-screen TV. The kitchen is fitted with a dishwasher and an oven. The villa offers a seasonal outdoor pool. A barbecue is available on site and hiking can be enjoyed within close proximity of Maison Bons. Cahors is 48 km from the accommodation. The nearest airport is Rodez - Aveyron Airport, 84 km from the property. Mas de Galy offers accommodation with water sports facilities and free WiFi, and is located in Saujac. Each unit features a terrace, a fully equipped kitchen with a dishwasher, a fireplace, a seating area with a sofa, a flat-screen TV, a washing machine, and a private bathroom with shower and a hair dryer. Some units include a dining area and/or a balcony. The holiday home offers an outdoor pool. There is a barbecue at this property and guests can go fishing and hiking nearby. Figeac is 27 km from Mas de Galy, while Saint-Cirq-Lapopie is 26 km away. The nearest airport is Rodez - Aveyron Airport, 74 km from the property. 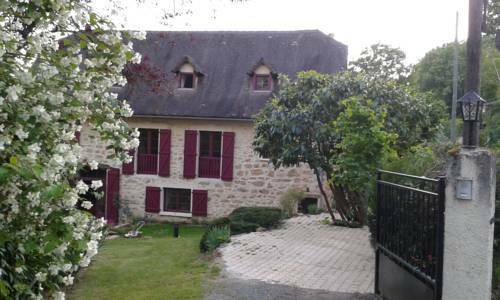 House Montbrun - 5 pers, 80 m2, 3/2 is situated in Montbrun. Guests staying at this holiday home have access to a fully equipped kitchen. The holiday home features a TV. Figeac is 22 km from the holiday home, while Saint-Cirq-Lapopie is 26 km from the property. The nearest airport is Rodez - Aveyron Airport, 73 km from the property. Situated in Saujac, Two-Bedroom Holiday Home in Saujac offers accommodation with a private pool, free WiFi and private parking. The accommodation is 24 km from Figeac. The holiday home includes 2 bedrooms and a living room with a TV and a DVD player. The holiday home offers an outdoor pool. Saint-Cirq-Lapopie is 29 km from Two-Bedroom Holiday Home in Saujac, while Villefranche-de-Rouergue is 22 km from the property. Rodez - Aveyron Airport is 64 km away. House Gite de la rivière 1 is set in Montbrun. The property has garden views and is 21 km from Figeac. The holiday home is equipped with a TV. The accommodation is fitted with a kitchen with a dishwasher and fridge. Saint-Cirq-Lapopie is 29 km from the holiday home, while Villefranche-de-Rouergue is 32 km away. The nearest airport is Rodez - Aveyron Airport, 72 km from House Gite de la rivière 1. House Gite communal is situated in Larnagol. Guests staying at this holiday home have access to a fully equipped kitchen. The holiday home has a TV. Cahors is 41 km from the holiday home. Rodez - Aveyron Airport is 87 km away. Boasting accommodation with a private pool, House Roc de curios is set in Calvignac. The holiday home features garden views and is 42 km from Cahors. The holiday home is equipped with a TV. The accommodation is fitted with a kitchen. Figeac is 35 km from the holiday home, while Saint-Cirq-Lapopie is 12 km away. The nearest airport is Rodez - Aveyron Airport, 88 km from the property. Located in Calvignac, House Calvignac - 12 pers, 400 m2, 7/6 features accommodation with a private pool. 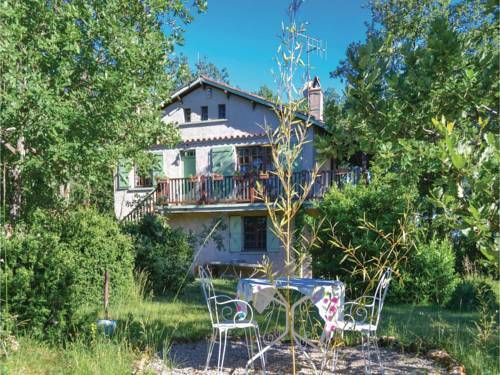 The property has garden views and is 41 km from Cahors. The holiday home is equipped with a TV. The kitchen features a dishwasher. Figeac is 36 km from the holiday home. The nearest airport is Rodez - Aveyron Airport, 88 km from the property. House L'oustal del dolfy is situated in Montbrun and has a private pool, a kitchen and garden views. The accommodation is 20 km from Figeac. The holiday home features a TV. Saint-Cirq-Lapopie is 29 km from the holiday home, while Villefranche-de-Rouergue is 37 km from the property. The nearest airport is Rodez - Aveyron Airport, 75 km from the property. The property boasts garden views. House Saint-chels - 4 pers, 81 m2, 3/2 features a TV, a well-equipped kitchen with a dishwasher and a bathroom with a shower. Rocamadour is 33 km from the holiday home, while Conques is 48 km from the property. House La grange 2 is situated in Saint-Chels. The accommodation is 25 km from Figeac. The holiday home is equipped with a TV. The kitchen has a dishwasher. Saint-Cirq-Lapopie is 28 km from the holiday home, while Villefranche-de-Rouergue is 35 km away. Rodez - Aveyron Airport is 80 km from the property. House La maison is situated in Saint-Martin-Labouval. The property features garden views. The holiday home has a TV. The accommodation is equipped with a kitchen with a dishwasher and fridge. Cahors is 38 km from the holiday home, while Figeac is 37 km away. The nearest airport is Rodez - Aveyron Airport, 89 km from the property. House L'oustal d'agathe is set in Cénevières. Guests staying at this holiday home have access to a fully equipped kitchen. The holiday home features a TV. Cahors is 38 km from the holiday home, while Figeac is 39 km from the property. The nearest airport is Rodez - Aveyron Airport, 85 km from House L'oustal d'agathe. House La maison de marie vigne is situated in Cénevières. The holiday home has garden views and is 38 km from Cahors. The holiday home features a TV. The kitchen is fitted with a dishwasher. Figeac is 38 km from the holiday home, while Saint-Cirq-Lapopie is 8 km from the property. The nearest airport is Rodez - Aveyron Airport, 85 km from House La maison de marie vigne. House Gite du puy clavel is located in Gréalou. Guests staying at this holiday home have access to a fully equipped kitchen. The holiday home comes with a TV. Figeac is 16 km from the holiday home. The nearest airport is Rodez - Aveyron Airport, 71 km from House Gite du puy clavel. House Gite le cayre is set in Gréalou. Guests staying at this holiday home have access to a fully equipped kitchen. The holiday home has a TV. Figeac is 17 km from the holiday home. Rodez - Aveyron Airport is 72 km away. The units at House L'idyllique 1 provide views of the garden and come with a washing machine, a fully equipped kitchen, and a private bathroom with free toiletries. Rocamadour is 35 km from the holiday home. House St martin labouval - 5 pers, 131 m2, 3/2 is situated in Saint-Martin-Labouval. The accommodation is 40 km from Cahors. The holiday home is equipped with a TV. A dishwasher, a microwave and a fridge can be found in the kitchen. Figeac is 42 km from the holiday home. The nearest airport is Brive Dordogne Valley Airport, 94 km from the property. House Ma chère edmée is set in Saint-Pierre-Toirac. Guests staying at this holiday home have access to a fully equipped kitchen. The holiday home features a TV. Figeac is 15 km from the holiday home. The nearest airport is Rodez - Aveyron Airport, 65 km from the property. House Domaine de broual: côté donjon is situated in Saint-Pierre-Toirac. The accommodation is 15 km from Figeac. The holiday home is equipped with a TV. The kitchen has a dishwasher and a microwave. Saint-Cirq-Lapopie is 34 km from the holiday home. The nearest airport is Rodez - Aveyron Airport, 65 km from House Domaine de broual: côté donjon. Situated in Marcilhac-sur-Célé, House Les hirondelles 1 features a private pool. Guests staying at this holiday home have access to a fully equipped kitchen. The holiday home is fitted with a TV. Cahors is 44 km from the holiday home, while Figeac is 31 km from the property. Brive Dordogne Valley Airport is 83 km away. Valley View B&B is set 4 km from Brengues in the Midi-Pyrénées Region and 25 km from Figeac. The property features a sun terrace and views of the mountain. Certain units include views of the garden and valley. For your comfort, you will find free toiletries and a hairdryer. Luggage storage space is available at the property. You can engage in various activities, such as cycling and hiking. Conques is 54 km from Valley View B&B, while Cahors is 52 km away. Rodez - Aveyron Airport is 81 km from the property. Situated in Saint-Pierre-Toirac, A l'Oree des Cazelles offers accommodation with a terrace. Free WiFi is featured. All units comprise a seating area with a sofa and a fully equipped kitchen with various cooking facilities, including a dishwasher, an oven and a microwave. A toaster is also offered, as well as a coffee machine and a kettle. The holiday home offers an outdoor pool. Fishing can be enjoyed nearby. Figeac is 15 km from A l'Oree des Cazelles, while Saint-Cirq-Lapopie is 34 km away. The nearest airport is Rodez - Aveyron Airport, 66 km from the property. Situated in Saint-Pierre-Toirac in the Midi-Pyrénées Region, 41 km from Rocamadour, Le Mas du Cerf boasts a seasonal outdoor pool and views of the garden. Free private parking is available on site. Certain units feature a seating area where you can relax. Each room is equipped with a private bathroom. For your comfort, you will find free toiletries and a hairdryer. Le Mas du Cerf features free WiFi . There is a shared kitchen at the property. Motorbikes can be parked inside the secured property. Rain equipment, boots and luggage can be dried under the porch. Cleaning material for motorbikes and an air compressor unit are at guests' disposal. A motorbike garage is available in Figeac. Free use of bicycles is available at this guest house and the area is popular for horse riding. Conques is 36 km from Le Mas du Cerf, while Cahors is 42 km away. Rodez - Aveyron Airport is 44 km from the property. House Le pigeonier is set in Brengues. The accommodation is 24 km from Figeac. The holiday home features a TV. The accommodation is equipped with a kitchen. Saint-Cirq-Lapopie is 31 km from the holiday home, while Villefranche-de-Rouergue is 39 km away. The nearest airport is Rodez - Aveyron Airport, 79 km from the property. House Saint-martin-labouval - 6 pers, 100 m2, 4/3 1 is situated in Saint-Martin-Labouval. The property features garden views. The holiday home comes with a TV. A dishwasher and a fridge can be found in the kitchen. Cahors is 38 km from the holiday home, while Figeac is 40 km from the property. The nearest airport is Brive Dordogne Valley Airport, 91 km from House Saint-martin-labouval - 6 pers, 100 m2, 4/3 1. Situated in Sauliac-sur-Célé, Chambres de Marianne provides accommodation with free WiFi and a garden with an outdoor swimming pool. A continental breakfast is available every morning at the property. The homestay offers a terrace. Cahors is 43 km from les chambres de marianne, while Figeac is 32 km away. The nearest airport is Brive Dordogne Valley Airport, 83 km from the accommodation. Mas de Redoules is located 4 km from Saint-Cirq-Lalpopie and offers 3 bedrooms with views over the garden and the countryside. WiFi and cable internet is available. Each rooms has its own private entrance and comes with a private bathroom fitted with a shower and toilet. Breakfast can be served in a basket at an extra cost. The summer kitchen is available to all guests for all of their meals and there is a furnished terrace overlooking the Lot Valley where guests can relax. Guests can go hiking and cycling in the surroundings. Cahors Train Station a 50-minute drive away. The property offers free parking. Belle Demeure Ribot is situated in Cénevières. Guests staying at this holiday home have access to a terrace. The holiday home includes 7 bedrooms, a kitchen with a dishwasher and an oven, as well as a coffee machine. The holiday home offers a barbecue. Water sports facilities can be found at Belle Demeure Ribot, along with a garden. Cahors is 37 km from the accommodation, while Figeac is 41 km away. The nearest airport is Rodez - Aveyron Airport, 89 km from Belle Demeure Ribot. House L'oustal de georges is located in Sauliac-sur-Célé and has a private pool, a kitchen and garden views. The air-conditioned accommodation is 45 km from Rocamadour. The holiday home is fitted with a TV. Cahors is 45 km from the holiday home. The nearest airport is Brive Dordogne Valley Airport, 78 km from the property. Below here is the hotels map of Salvagnac-Cajarc. Names and details of Salvagnac-Cajarc hotels can be shown on the map clicking on the prices icons.